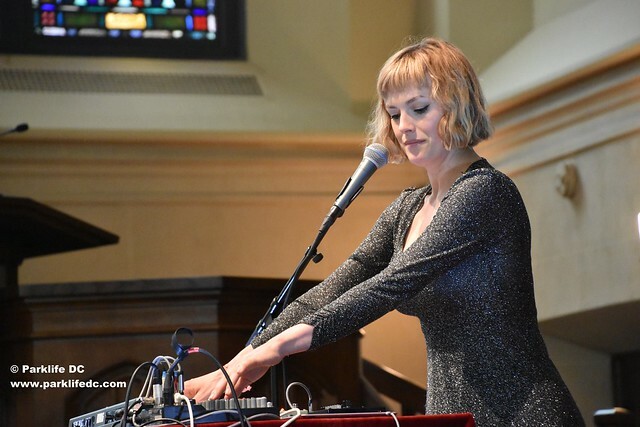 Posted on 05/27/2016 by Mickey McCarter	in Live Review and tagged disco, Durham, First Presbyterian Church, Gwenno, krautrock, Moogfest, Moogfest 2016, music festival, synthesizer, synthpop, Wales. 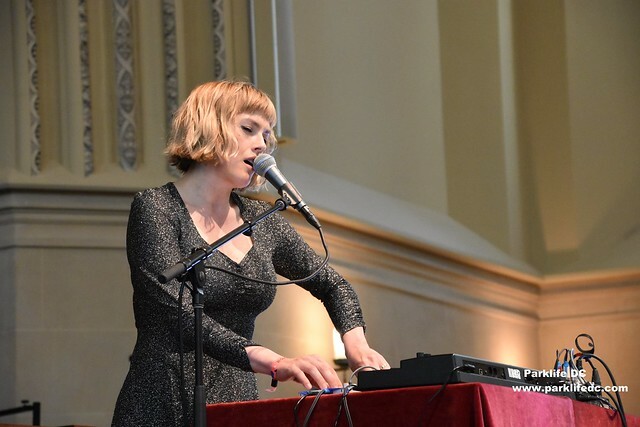 The line was demonstrative of the pop chanteuse’s wit and grace, which were on full display during Moogfest 2016, the event that drew Gwenno to Durham. She actually stopped at DC9 locally on her way there, in what I’m sure what was an equally enchanting show on Thursday, May 19. 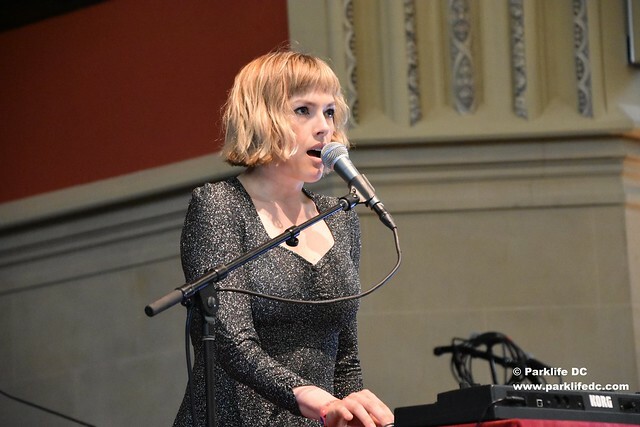 At First Presbyterian, Gwenno (born Gwenno Saunders) proved a fantastically capable solo act, having formerly visited the United States with her band the Pipettes. The Pipettes are no longer, however, and Gwenno wisely eschewed the band’s catchy 60s girl group stylings for something a bit deeper and more ethereal—but just as wholly captivating. She certainly didn’t need wry and playful songs like “Your Kisses Are Wasted on Me” to showcase her talent. 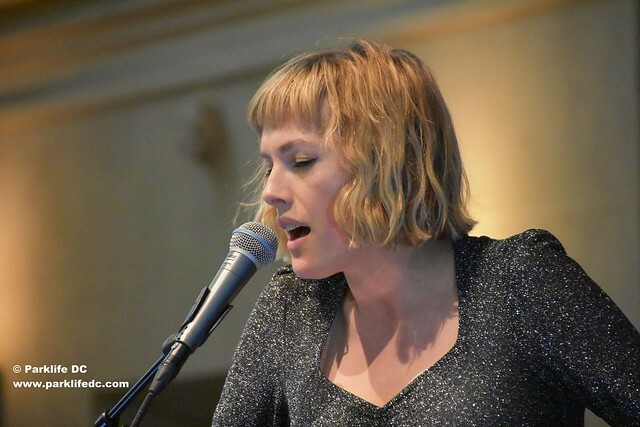 Clad in a striking sparkly dress, Gwenno mesmerized the room with her style but also with her alluringly sonorous voice and her depth of skill with synthesizers. 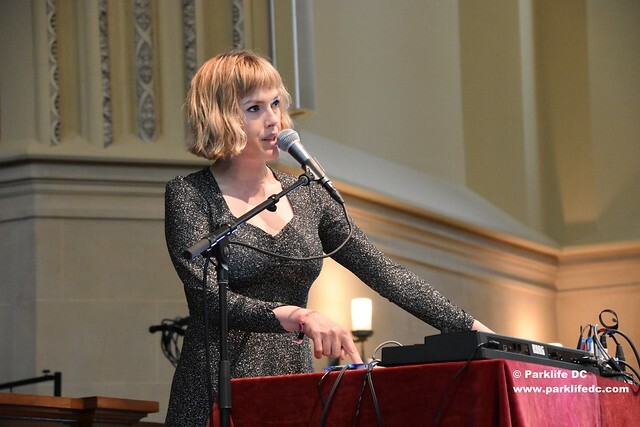 In a spot in front of the church pulpit, she played her synthesizer with tranquil concentration as she sang heartfelt words into her mike. Other absorbing selections flowed from the album as well, such as the opening track “Chwyldro,” which Gwenno sings distinctly yet softly over a space disco beat that captures the audience’s attention with its infectious melody and pleasantly rolling bleeps. 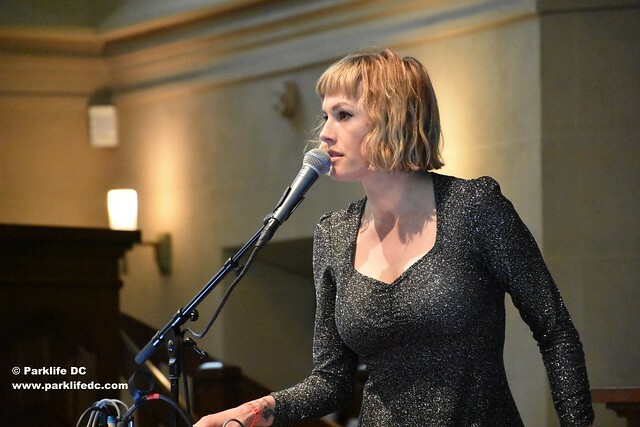 Gwenno’s voice alone carries the end of the song as the music fades and her vocals echo throughout the church. I don’t know Welsh so as with much of the rest of the audience, I was left to suppose from context the intent of many of the songs. As in the anecdote above, Gwenno took some time before many of the songs to provide such context to many of the album’s 10 songs. When Gwenno explains toward the end of the concert that she wrote a song to which she imagined the hero of her inspiration novel might dance as he faced his impending doom, she suggests the audience might dance as well. Much of the right side of the room seized upon her suggestion and danced along the aisle between pews as she played through the song. 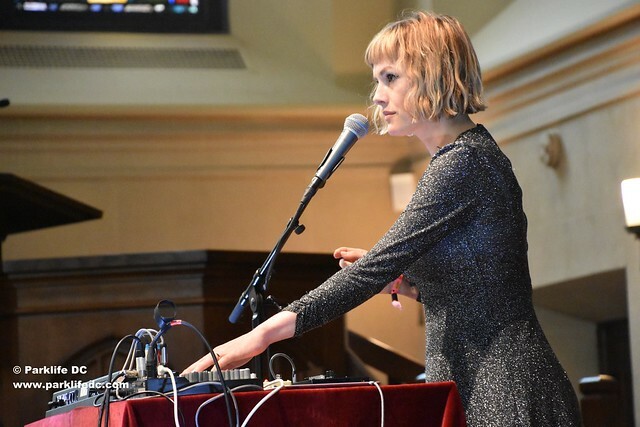 “DIOLCH, MEUR RAS, & THANK YOU for the warmest welcome and for dancing in the aisles @Moogfest people!” Gwenno later said on Twitter. 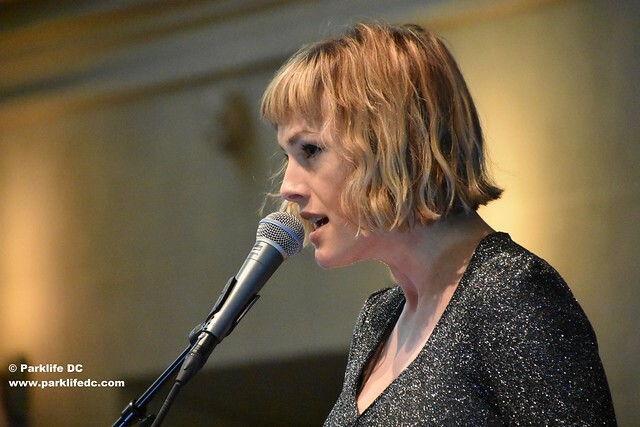 Gwenno said previously her solo album was influenced by ‘70s krautrock, and that she sought to address themes of patriarchal society, government-funded media propaganda, cultural control, technology, isolation, and other concepts. Her intent is to protest any control of suppression of the arts. If her reception at Moogfest 2016 is any indication, it’s a message that her audience is happy to hear, particularly when delivered with such great synthpop, regardless of whether it is delivered in Welsh or English. Gwenno is touring the United Kingdom quite a bit this summer starting in July, but let’s hope we see her back here in the United States soon! 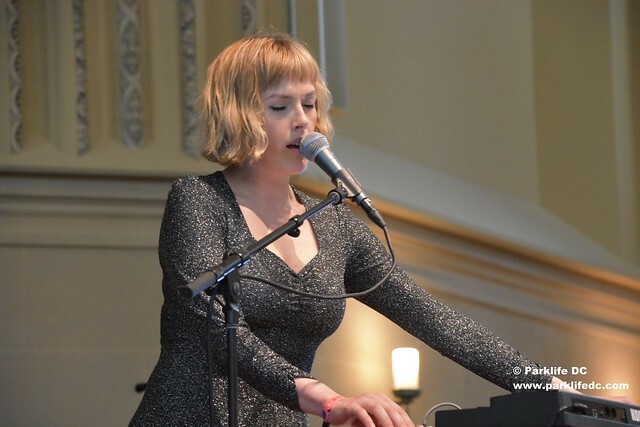 Here are some pictures of Gwenno performing during Moogfest on Saturday, May 21, 2016. 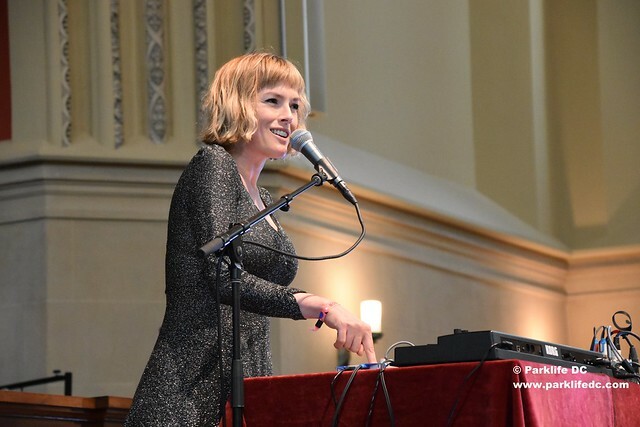 I was at Moogfest and I’d have to say that Gwenno was the highlight of the festival for me. 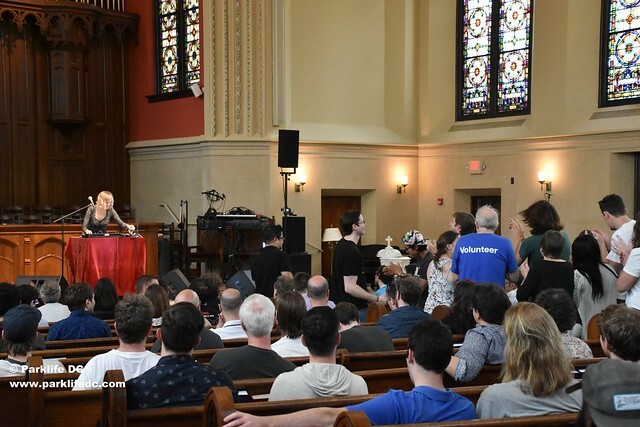 I had never heard of her but I clicked on the name on my Moogfest app because my youngest daughter’s name is Gwyneth and when I saw that she was Welsh/Cornish I braved the several block walk to the First Presbyterian church and I was mesmerized. Doc, I couldn’t agree more! I’ve followed the lady’s career for a spell now, and she’s really reached a terrific place. Here’s to the hope we will see more of her soon!